Our competency-based bi-level program prepares you to meet the requirements to become a licensed practical nurse (Year One), then transition seamlessly to associate degree nursing (Year Two) if you want to become a registered nurse. At SFCC, active learning takes place in multimedia classrooms equipped with SMART board™ technology and e-instruction and in a dedicated allied health computer lab. Our Human Patient Simulators™ allow you to develop and improve your critical decision-making skills in a real-life setting, and our educational environment promotes personal growth and a holistic view of health care. SFCC also has an active Nursing Club. Application for admission to SFCC and the nursing programs are completed online. Prospective students should first click Admissions to apply to the college. Current SFCC students apply through mySTAR > Student > I need to … > Submit or check status of nursing program application. Students may apply to the nursing program if they have completed all prerequisite courses OR are currently taking final prerequisite courses. Admission to the nursing programs is competitive and requires a background check and drug screenings. 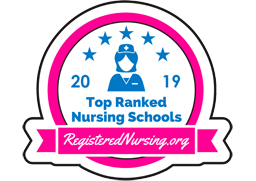 Click links on the left to learn about admission requirements for Practical Nursing (Year One) or Associate of Degree Nursing-Advanced Placement (Year Two). The Nursing program is approved by the Missouri State Board of Nursing (MSBN). At the completion of Level One, students apply to the MSBN for the NCLEX-PN licensure exam for practical nursing. At the end of Level Two, students apply to the MSBN to take the NCLEX-RN licensure exam for registered nursing. Completion of these programs does not guarantee eligibility to take the licensure exams. The Nursing program is offered in Sedalia and Eldon. A nursing career offers job security and mobility, flexible scheduling, the chance to specialize with additional training, and diverse workplace environments like hospitals, health departments, doctors’ offices, hospice, assisted living enters, schools, home health, and the military. The number of jobs is growing rapidly. Salaries range from $26,700 to $35,000 for LPNs and from $36,200 to $52,500 for RNs.